Weekend Thrill is aimed at providing you with the best and most accurate information on the places that you wish to visit. 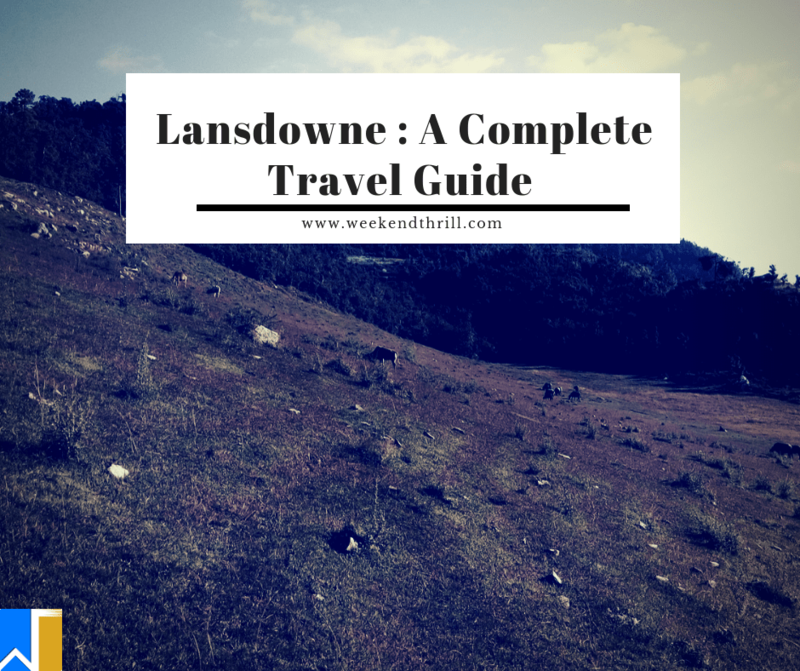 Our Lansdowne travel guide provides you with up to date information which will help you to prepare for your next big trip. Lansdowne is a small cantonment town nestled in the laps of the Himalayas in Uttarakhand. This hill station is situated on the Kotdwar – Pauri road at an attitude of 1,706 meters from the sea level. Described as the gateway to the heavenly abode of Himalayas, Lansdowne is one of the most unusual hill stations in India. Lansdowne is one of the most quietest and the most unspoilt hill stations that has been famous since the time of the British colonial rule. Lansdowne is well connected by motorable roads to the major cities in Uttarakhand but it is remote in its own way. Covered by a thick spread of oak and blue pine forests on all the sides, Lansdowne remains a favorite spot for people who wish to getaway in the serene arms of nature. Traditionally Lansdowne was known as ‘Kaludanda‘ village by the locals which literally suggest the ‘Black Hills’. However, the place owes the credit for its development and name to Lord Lansdowne, the then Viceroy of India (1888-1894) who founded Lansdowne in 1887. At present, the command office of the Garhwal Rifles of the Indian Army is located in Lansdowne. One can view the old and rustic buildings of the colonial British era in Lansdowne that tells stories of the ancient pre-Independence era. The architecture of these old buildings are impressive in their own right and have inspired the town of Lansdowne to be built in a similar way. Lansdowne is located at an altitude of 1,700 meters from sea level surrounded by oak and blue pine forests on all sides. Lansdowne has a scenic backdrop as it is nestled in the laps of the great Himalayan mountains. It has a very serene and a peaceful atmosphere and a feel to it. One a clear day in Lansdowne we can have a clear view of the some of the most beautiful and snow clad Himalayan mountains such as Bandar Poonch, Swarga-Rohini, Jonli, Gangotri Group, Jogin Group, Thalaiya- sagar, Kedarnath, Sumeru and Chaukhamba to name a few. Lansdowne is the nearest hill station to New Delhi and it is located at a distance of 260 kilometers. It takes about 7 and a half hours to reach Lansdowne from Delhi via the Meerut – Pauri highway. The climate of Lansdowne is similar to other hill stations with the exception being that temperatures don’t drastically decrease by much in the winter season. Winter months are the best time to visit Lansdowne, with people also preferring to visit Lansdowne in the summer months. The temperature during the summer from April to June increases to a maximum of 30 degrees celsius and it reaches a minimum of 15 degrees. Monsoon season starts from July to October, and one can expect heavy rainfall during these months. Winter months experience a maximum temperature of 24 degrees and a minimum of 0 degrees. The closest airport from Lansdowne is the Jolly Grant airport in Dehradun located at a distance of 140 kilometers. There are multiple flights to Jolly Grant airport from the nearest metropolis; i.e Delhi. 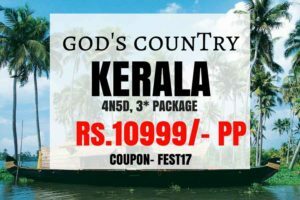 There are flights to Jolly Grant from Mumbai, Trivandrum and Kolkata as well. 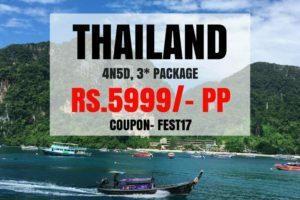 The best way to get value for money is to book your return ticket at the same time. Air India offers economical flights from few of the major Indian cities to Jolly Grant airport. One can hail a cab from Jolly Grant airport to reach Lansdowne. Lansdowne is located at a distance of 260 kilometers from the national capital of Delhi. One can reach Lansdowne from all the major cities of Uttarakhand, as it is connected by an extensive network of roads ensuring connectivity. Lansdowne can be reached by the pilgrim city of Haridwar, and as Lansdowne is located at an elevation of 1,700 meters, the road connecting Lansdowne from Haridwar is steep and very beautiful. Kotdwar is the nearest railway station and it is a 40 kilometers drive uphill. The frequency of trains in Kotdwar is high. As the railway station is located at a distance, one has to hail a taxi to reach Lansdowne. This is a small and a well maintained lake located in the heart of the town of Lansdowne. This is an artificial and a man-made lake created by the Garhwal rifles. This is an ideal spot for picnics and outings. This lake is dedicated to the young people of Garhwal who helped in the creation of the lake. This is a historical defense museum named after the first Victorian cross holder from Garhwal rifles, Dharwan Singh. This museum contains the rarest Garhwal rifles and it is a very famous defense museum. It was inaugurated in 1983. This is a historic and surprising place near Lansdowne. One can notice one rock sitting atop another here. You can push the rock above with all your might but it will never fall down. It is believed that Pandavas spent a night here in exile and at that time, Bhim placed a rock above another in such a way that it will never fall down. To reach this place, one has to trek for about 2 kilometers through the wilderness. This a roman Catholic church located near Lansdowne. This is the only running church in Lansdowne and it is located in the Mall road. St. John’s church was established in 1936 and it is one the oldest buildings in Lansdowne. Beautiful interiors and a serene atmosphere makes it a must – visit attraction. This temple is located at an altitude of 1800 meters above sea level and at a distance of 38 kilometers from the town of Lansdowne. This temple is surrounded by Deodar and pine trees which exudes a serene and a very calm atmosphere in the temple. A small hilltop viewpoint, Tiffin Top is very famous for the beautiful panoramic scenic views that it offers of the Shivalik mountain range. This is the perfect place to watch the skyline during sunrise and sunset. Known as the pride of the Garhwal rifles, The war Memorial in Lansdowne is the main attraction in Lansdowne. It was established in 1923 by Lord Rawlinson of Trent. 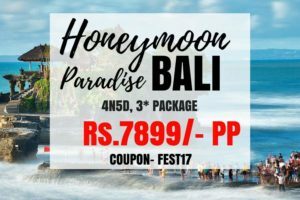 This picturesque location offers beautiful views of the snow capped mountains of the Himalayas. This calm and peaceful ambience is perfect for nature lovers and adventure seekers. Since Lansdowne is not as popular as Mussoorie, there are only handful of good restaurants available. Some luxurious hotels and resorts have in-house restaurants that serve delicious cuisines. There are many roadside dhabas and local restaurants that serve north Indian and popular Chinese dishes like noodles, momos to name a few. Lansdowne has managed to maintain its calm and serene atmosphere by not indulging in over development of the town and you won’t find much of the commercial activity here that often is the downfall of natural beauty of hill stations. Therefore there are no shopping options available in Lansdowne. The best way to enjoy your stay in Lansdowne is to curl up in front of a bonfire and viewing the starlit sky in the night. Lansdowne usually has a very pleasant climate. The clothes to pack usually depends on the season of your visit. If you are planning on visiting in the summer months, pack a lot of light clothes. In the winter months, Lansdowne gets pretty cold, so pack lots of warm woolen clothes.